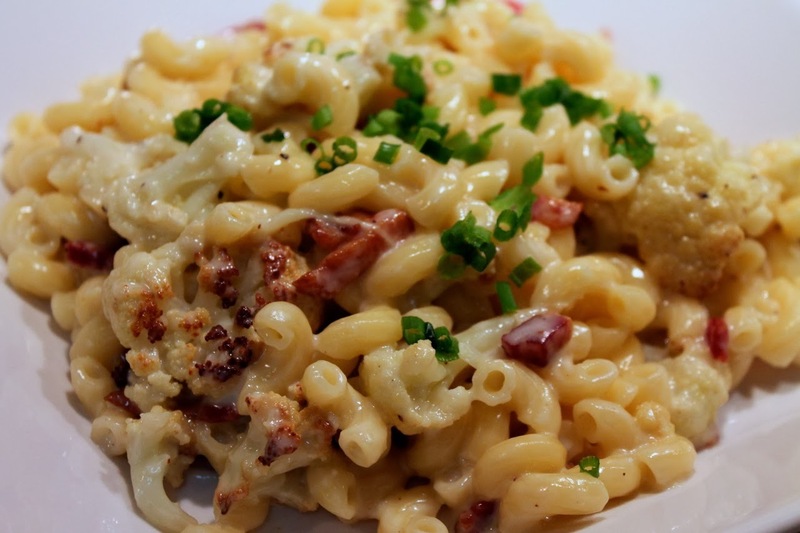 Mac & Cheese: classic comfort food. Seasonal & Savory: “Feast of the Seven Fishes,” by Angela Buchanan. I must be living under a rock, since I’d never heard of the Feast of the Seven Fishes until this year, and I now I feel like I’m seeing references to it everywhere. Seeking a good explanation for this Italian-American Christmas tradition, I stumbled across Buchanan’s excellent post. Her dishes sound amazing, particularly the seared scallops with crab roe, seafood lasagna and olive-crusted baked grouper. If you’re D.C.-based and want to try this at a restaurant, here is Washingtonian’s list of local feasts. NPR: “Sriracha Maker Told To Hold Its Sauce For 30 Days,” by Mark Memmott. Bad news for sriracha fans: Huy Fong Foods, the major U.S. producer of the popular spicy condiment, is facing further government oversight requiring it to hold produced sauces for 30 days before shipment. Good news for sriracha fans: There’s a new documentary all about the origins of the hot sauce. NPR: “Chowing Down On Meat, Dairy Alters Gut Bacteria A Lot, And Quickly,” by Michaeleen Doucleff. A lot has been written lately about “gut bacteria,” the microorganisms that live in your intestinal tract that scientists are learning are increasingly important, linked not just to digestion but a host of other bodily issues, including obesity. Doucleff writes about a Duke University study that looked at how the “microbiome” as these critters are called are affected by diets high in meat and cheese, as opposed to one high in grains and vegetables. One guess as to which one was more beneficial. Washington Post: “Comfort food: She may not have coined the term, but she’s an expert nonetheless,” by Phyllis Richman. Nice to see Richman’s byline in the Post today. For those that don’t know, she was the paper’s restaurant critic before Tom Sietsema. In this essay, she writes about comfort food, a term she possibly invented. She denies it, but also points out that some pretty reputable sources credit her 1977 Washington Post article on shrimp and grits. Washington Post: “Punch: For the holidays, nothing bowls over a party like it,” by M. Carrie Allan. Writing about boozy punch for the holidays, Allan made me chuckle when talking about how punch brings people together and thus should not be served if you’re trying to escape your relatives. “You’ll have no excuse to escape while they unwrap the cheese ball and talk about your aunt’s bursitis.” Nice. In looking into the drink’s history, she picks a very reliable source: David Wondrich, author of Imbibe (which I mentioned during my summer drinks week) and his newer book, Punch. This Christmas-themed punch from D.C. bartender Gina Chersevani sounds like it would hit the spot during the holidays. New York Times: “A Life of Noodles Comes Full Circle,” by Julia Moskin. Noted American ramen chef Ivan Orkin has opened his first New York City ramen shop, Ivan Ramen Slurp Shop. Moskin uses the occasion to profile him and discuss his influences on his journey from the U.S. to Tokyo and back. New York Times: “Are Nuts a Weight-Loss Aid?,” by Michael Moss. I really hope there’s truth in this story by Salt Sugar Fat author Michael Moss, because we eat nuts like fiends in our house. Mashable: “Fired Chef Takes Revenge on His Restaurant's Twitter Account,” by Seth Fiegerman. The headline pretty much says it all. Quite amusing. Thanks for turning me onto the nuts-as-weight-loss-aid story. I'm going to assume the theory proves correct.